Upon entering our clinic, our receptionist will welcome you. We will request that you complete our patient forms. This paperwork provides us with your health history and information on your condition. 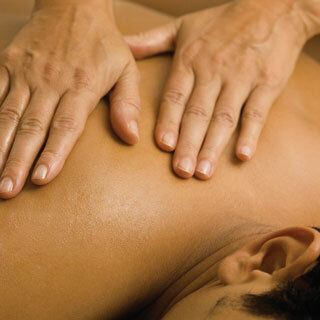 Your massage therapist will then take you to a quiet treatment room where a comfortable table awaits. Your therapist will leave the room and wait outside while you disrobe to your level of comfort. Once disrobed, you will lie on the massage table under the top sheet. Your massage therapist will give you a few minutes for this process and will knock and ask if you are ready before entering the room. You will always be draped with the top sheet, only the area being worked on will be exposed ensuring that modesty is respected at all times. Before beginning the session, your therapist will ask you to alert them if, at any time during the session, the technique or pressure they are using is uncomfortable. Depending on your specific needs or the requests of your referring doctor, your massage therapist will perform a customized massage to fit all your needs.